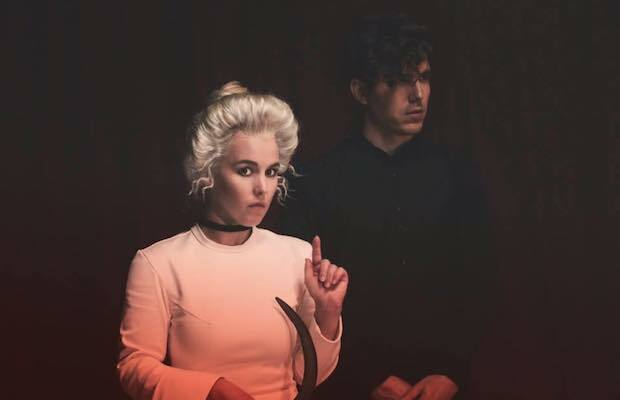 It’s been almost two years since Canadian synthpop duo Purity Ring last played Nashville, then celebrating the release of their long awaited and highly anticipated sophomore album, Another Eternity, which recaptured the buzz and magic of their hypnotic, near-perfect 2012 debut, Shrines, with wondrous bliss. Though there’s no word yet on exactly when we can expect LP3, the duo recently unveiled a brand new single, “Asido,” as a gift to fans in celebration of their debut’s fifth anniversary, along with a great accompanying animated video, written and directed by singer Megan James and animated by longtime collaborator Tallulah Fontaine. This fall, the band will hit the road for a high-profile supporting slot on Katy Perry’s Witness tour, keeping them busy throughout November and December. While tomorrow’s Bridgestone Arena stop is not part of their leg, Nashville lucked out thanks to geography and timing, as the duo have just announced a headlining show Dec. 11 at Marathon Music Works, an off date between arena stops in Cleveland and Atlanta. They blew us away last time in Music City, and we’re sure this all ages show will be no exception, so grab your tickets when they go on sale Friday, Oct. 20 at 10 a.m. CDT right here (or snag pre-sale tickets one day earlier)!